Salt has always had a special place in human history. As early as the prehistoric times, there were salt roads. These were named for the fact that salt was transported via these routes to low-salt areas and sold at a high price. In virtually all ancient civilizations, traces of salt extraction have been found both in the land and in many testimonies. The Babylonians and the Sumerians used salt as a preservative. Previously, there were not too many ways to make foods durable. Therefore, salt had a particularly important role to play as an economic good, which drove the price up. The salt trade made many cities very wealthy. The term "white gold" is a synonym for salt that refers to that fact. The term "salary" is another example. The word comes from Latin and refers to the money the Romans were known for paying their soldiers, so that they could buy salt. 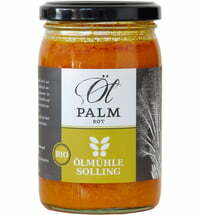 Salt retained its tremendous value in Central Europe until the 19th century. The value of salt did not come from the complex production, but by the prices incurred by transport and trade. There even were riots when the price was too high. In 1648 in the Russian Empire, a salt tax was levied and the price tripled, resulting in the "Salt Revolt of Moscow". Salt is not only essential for happiness, it is essential for life. It ensures that liquid is bound in the body and thus contributes significantly to running all metabolic processes. For this reason, salt was used thousands of years ago for healing purposes. Hippocrates described the healing properties of seawater in ancient times, and up until the Middle Ages, many drugs were based on salt. The saying "rubbing salt into open wounds" comes from such practices. Salt was actually sprinkled into open wounds to prevent inflammation, which was very painful. The type of salt production differentiates the different types of salt. Sea salt is produced in so-called salt marshes. These are shallow basins that hold seawater. The water evaporates in the sun, leaving the salt behind. Sea salt makes up about 20 percent of global salt consumption. The rest is almost entirely made up of rock salt, which is mined underground in salt domes. Rock salt, except for small traces of other minerals, consists of sodium chloride. Since there is no such thing as a pure salt, discoloration may occur depending on the additional ingredients. Red salt is "contaminated" for example, with iron oxide. The finer the salt is, the more likely the taste is perceptible and the more easily the salt dissolves in liquids. In the field of seasoned salts, you'll find an extensive range of almost limitless varieties. 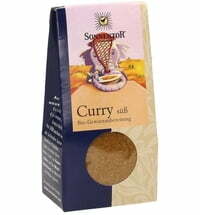 Spices and herbs give the salt added flavor and the salt has a stabilizing effect on the spices.